Home » Crime, Featured » Shots fired on Freetown; was it attempted robbery of guns? Shots fired on Freetown; was it attempted robbery of guns? Shots rang out in the night a little after eight-thirty on Tuesday. 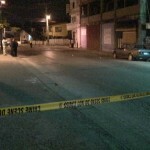 It happened on a very busy Belize City Street. Police officers blocked one end of Freetown Road at its junction with the I.T. Vet compound and another near Li Chee. There was a barrage of gunshots and officers tagged at least fifteen expended shells on the ground in the vicinity of Priority Security. The information is still sketchy as police have not issued a report on the incident. According to Sergeant Fitzroy Yearwood, the Police Press Officer, there has been no complainant about the shooting incident. However, the streets have been talking. And according to sources, a vehicle pulled up to the security firm with the intention to rob employees of guns. We have been unable to confirm if anyone was hurt because the owner of Priority Security was not at his office today. And although we left a number for him, he has not returned our call. This is starting to look like THE WILD WILD WEST……………LAWLESSNESS RULES!!!!!!!!!!!!!!!!!! WHO IS IN CHARGE HERE??????????????????? I hope my dear friends, especially the ones in Europe, are seeing what Belize has to offer visitors. PLEASE DO NOT, under any circumstances whatsoever, waste your time nor put your lives at risk by booking any vacation to Belize! Not even if it’s being offered to you for free!!! My country has turned into a lawlless nation of heartless savages and cold blooded criminals!!! things are going from bad to worse i tell you people march march on this useless impotent gov. before it is too late for you and your family. Well, channel 5 stop reporting about the violence in Belize. I heard comments that Belize is too dangerous to visit because of all the violence and guns. I agree it has become Little Beirut back in the days, if you ask my opinion. Gather all of the gang members and so called gang members, put them out in the empty fenced/locked field when it is very hot outside with no water to drink and let them duke it out until they do away with each other. 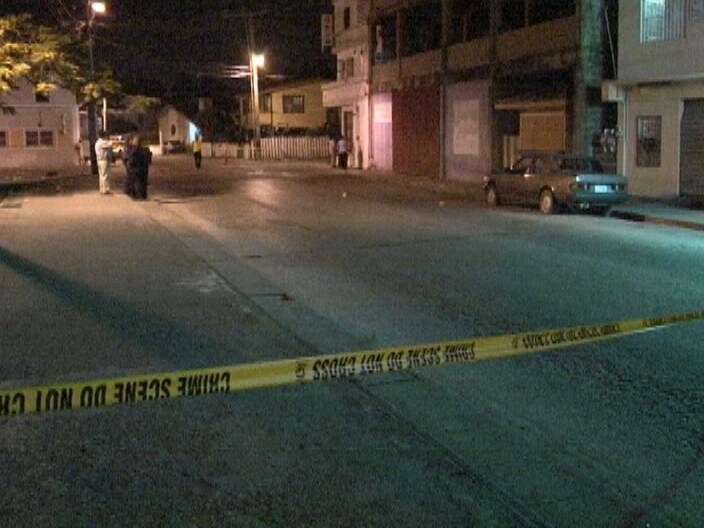 I cannot believe that the same violence that plagued Los Angeles years ago has leaped into Belize. The youths are at risk and the government of Belize have to get give stricter penalties. Another thing, the murderer should be made to pick up the body, clean, and prepare it for burial and their family should be held accountable for the funeral cost. Parents, look at your child when they come inside the house. If they are antsy, they have done something terrible. A killer cannot keep still, can’t sleep and eat..yes there is something wrong. Stop hiding those criminals. AND TO YOU KILLERS/MURDERERS STOP BEING A COWARD, DON’T RUN, STAND UP AND FACE THE MUSIC..HAVE THE GUTS TO STAND UP AND SAY, “I DID IT, NOW WHAT”. HAVE SOME CAHONES, BOY..BECAUSE YOU ARE NOT A MAN. AND TO THOSE FAMILIES STOP HIDING THOSE CRIMINALS. @Disgusted. I understand your frustration but you may want to take a deep breath before you do these postings. Belize City does not equal Belize Country. There is a difference. I certainly will advocate that people be careful when going to BELIZE CITY, but will explain to them that there are other parts to BELIZE COUNTRY! As far as I can see Belize country is not a “lawlless nation of heartless savages and cold blooded criminals!! !” We do have some cretins and am willing to agree to that, but not all of us are. That would be like saying not to visit the USA because there are some bad people in DC, or in Chicago, or in LA! You feel me? I feel you @ Mick but I am sending a deliberate message to some very priceless friends of mine whom I care about like family. This is by no means a campaign to discourage anyone who chooses to go to Belize for whatever reason. I am looking out for MY people and I’d rather not live with the guilt of having to say “If only I had said something to warn my friends.” Belize on a whole is not in a good position right now internationally and that’s a sad fact so I’m not saying anything that isn’t already being broadcasted globally on the internet. Thanks for your concern, but I’m calling a spade a spade. I was in belize an i felt safe, i think if u go an show off thats when u attract the thieves an open the gun man eyes belize is our home an all we can do as belizean american is embrace our home land like everyone does so don’t put the black paint on belize, for its some of us who know of the crime an don’t even want to report it, all u need to do my belizean people is fine a confident person that u are suer u are safe with an let them know what u see an just don’t be scared some crime just need a little for the police to complete their investigation so just try with the police an we shall have our country back to normal. kirian azueta………….YOU HAVE NOTHING ELSE TO SAY????????????? I DARE YOU TO MAKE AN EDUCATED COMMENT ON THE SUBJECT OF THE STORY.